The 2019 KIA Sorento and the 2019 Subaru Ascent are both well regarded crossover SUVs. But which one is best for you and your family? 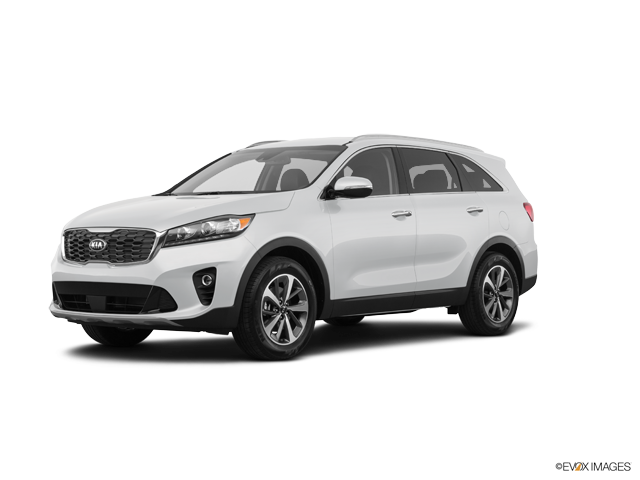 To help you make an informed decision, Carriage KIA has put together a comparison review of both the 2019 KIA Sorento and the 2019 Subaru Ascent. This review will look at both crossovers in three categories important to the SUV buyer. In the first part of the review, we will look at the overall key features of both vehicles. Afterward, we will take a look at the performance numbers of both SUVs. Finally, we will compare the all-important safety features of both the 2019 KIA Sorento and the 2019 Subaru Ascent. The 2019 KIA Sorento offers the following standard features: Sportmatic™ Sports Shifter, Solar Control Glass, Variable Intermittent Windshield Wipers, Projector Beam Headlights, LED Positioning Lights, UVO play with 7.0 inch Touch-Screen Display, 6 Speakers, Rear-Camera Display and Bluetooth® Wireless Technology Hands-Free Connectivity. The 2019 Subaru Ascent offers the following standard features: Symmetrical All-Wheel Drive with X-MODE®, Three rows of flexible seating for 8 passengers, Standard EyeSight® Driver Assist Technology, Raised roof rails, SUBARU STARLINK™ Multimedia with Apple CarPlay™ and Android™ Auto and 18-inch alloy wheels. Overall, the 2019 KIA Sorento offers more advanced key features, on all trim models, than the 2019 Subaru Ascent. The 2019 KIA Sorento comes with a standard 2.4 liter DOHC 16-valve inline 4-cylinder engine that outputs up to 185 horsepower and 178 foot-pounds of torque. There is also an optional 3.3 liter DOHC 24-valve V-6 engine that offers up to 290 horsepower and 252 foot-pounds of torque. The 2019 Subaru Ascent comes with a standard Direct-Injection Turbocharged (DIT) SUBARU BOXER® engine that offers up to 260 horsepower and 277 foot-pounds of torque. Overall, the 2019 KIA Sorento offers a more powerful top-of-the-line engine than the 2019 Subaru Ascent. At Carriage Kia, we consider safety to be the most parts in any vehicle. That is why we feel it is so important to show you the key safety features of both crossover vehicles. Starting with the 2019 Sorento, this KIA crossover offers the following key safety features: Dual Front Advanced Airbags, Dual Front Seat-Mounted Side Airbags, Side Curtain Airbags, Vehicle Stability Management (VSM), Electronic Stability Control (ESC), Traction Control System (TCS), Electronic Brake-Force Distribution (EBD), Hill Start Assist Control (HAC) and a Tire-Pressure Monitoring System (TPMS). The 2019 Ascent offers the following key safety features: Blind-Spot Detection, Rear Cross-Traffic Alert, Smart Rear-View Mirror, and LED Steering Responsive Headlights. Overall, the 2019 Sorento offers more passive and active safety features than the 2019 Subaru Ascent.